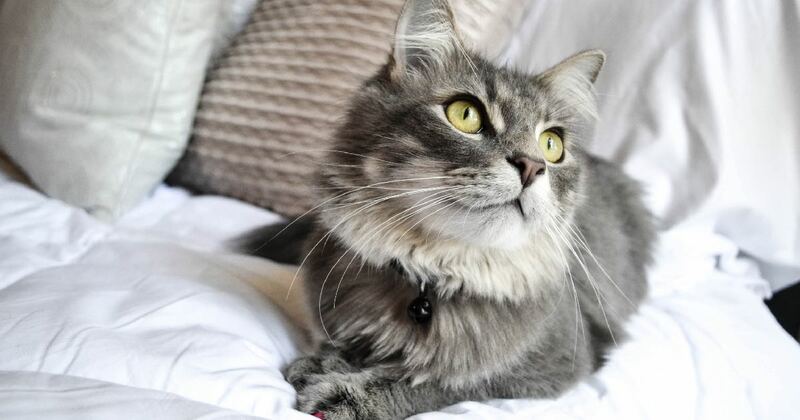 A cat makes a wonderful companion; they are full of mischief, love to play, and are comforting to cuddle up with. But many of us must go out to work to earn an income, which means your feline friend has many solitary hours to fill in while you are away. Most city cats live indoors, rarely moving outside the walls of their home. This situation can lead to boredom as they are confined to the home while their owners are away. What will they do when you are not at home? This is a question that intrigues many owners. Do the cats just snooze in the sun? Are they getting into things they really shouldn’t? Do they roam from room to room, counting the minutes until you return? 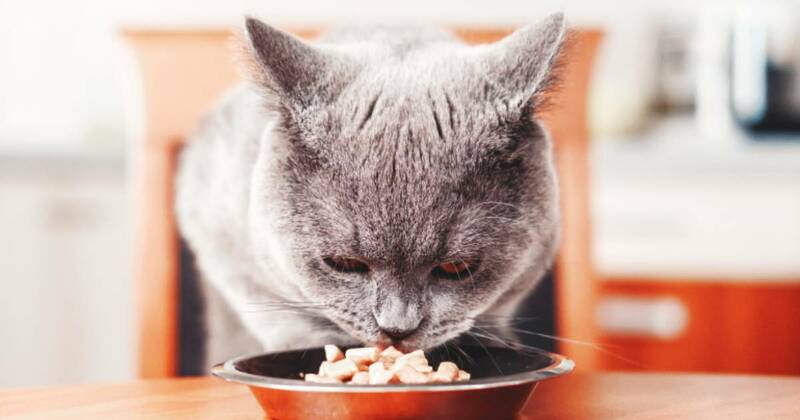 To prevent your cat from being bored, anxious, or from getting into trouble and possibly hurting themselves, it pays to think ahead and provide your cat with some healthy and safe options to keep them busy during the day. Why bother going to all this trouble. Doesn’t a cat entertain itself? If you are a new owner, you will soon learn that cats are curious animals. They will go to extreme lengths to find out about something that has caught their attention. They love things that move when batted with a paw … such as the cord ties on your curtains or dangling cables. They are agile climbers and when you are not there to dissuade them, they will test your curtains, your shelving and they can quickly learn how to open doors and cupboards! Then there are plastic bags, boxes of ‘stuff’, and containers of food on the bench top. Pillow attacks are fun, with both front and back paws getting into the action to disembowel the soft, white filling. They will investigate plants and chew the leaves. While this may seem a minor offence, be aware that many house plants are poisonous to pets, so this trick can end in disaster. In summary, a bored cat can create havoc. Why do they get into mischief? Although cats are independent by nature, they still love some attention and interaction. It is a lonely life to be shut in a house for 7-8 hours at a time.They are not doing these activities to upset you, it's just they need something to do. Like a bored teenager, they need to burn off that energy. If you can fulfill this need, your life will be a lot easier. Your feline friend is a nosey little creature; they like to see what’s going on in the yard, what the neighbour is doing, meow at nearby birds, and observe what is going on around them. A cat tree that is placed in a strategic position will pay dividends. They will feel safe being up off the ground, and the clear view to the outside world will keep them enthralled for ages. Some cat trees have toys attached that your cat can play with, plus the platform makes an excellent snoozing place. 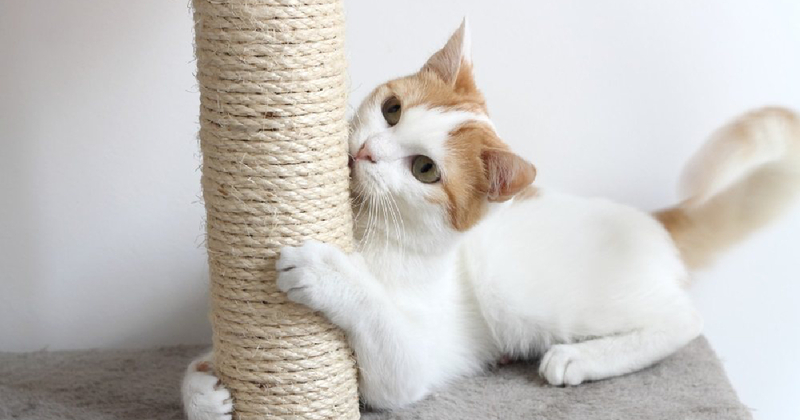 If you don’t have a cat tree yet, check out our in depth guide. The beauty is that you can move the cat tree around (or have a couple for them to choose from) to give them variety. Simple toys make the best fun! Cats LOVE to play in boxes. They will squash themselves into any box and spend hours playing their cat games with it. You can cut holes in the side to allow your cat to squeeze through. Sturdy empty boxes or cardboard bags (never the plastic ones for safety sake) are cheap, hardy, and they can be picked up and put away when you come home. Invest in a few cat tunnels and leave them exploring to their heart's content. These are often easy to stack up and put away at the end of the day. Any ball that they can bat around the room is a diversion, or a small soft ‘mouse’ toy filled with catnip will fill in a few hours. Be careful of leaving those feathered flick toys lying around, the long cord can get wrapped around your cat’s throat! They are for supervised fun only. Your cat will love a cat treat to nibble on throughout the day, but make them work for their treats. Stuff a special cat treat dispenser with kibble and they will spend hours trying to get all the food out! 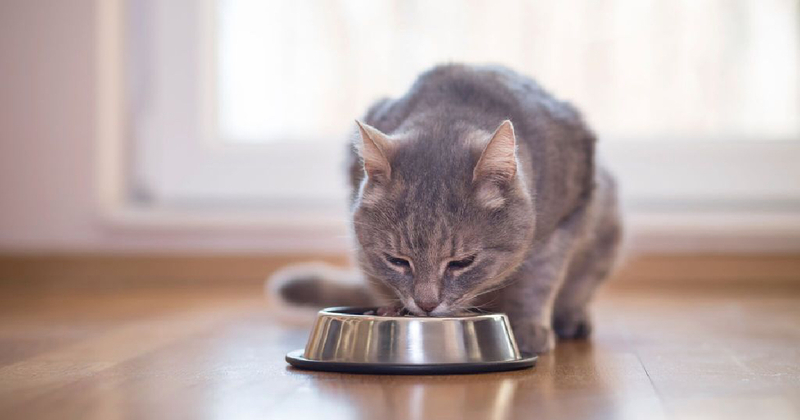 A timed cat food dispenser feeder will prevent your cat from eating all day, as cats can eat to comfort themselves which can become a health/weight issue. Make sure they have access to plenty of fresh cool water to wash the treats down. Some dedicated cat lovers make cat pathways around their home. These pathways are not on the floor, they go along the wall (like shelving steps) and up to a higher perch. This option will not suit everyone, nor every cat. Adult cats are better with this option as you don’t want a young kitten to miscalculate their steps and slip off. Some amazing pathways have holes in the wall where the cat can go from room to room! 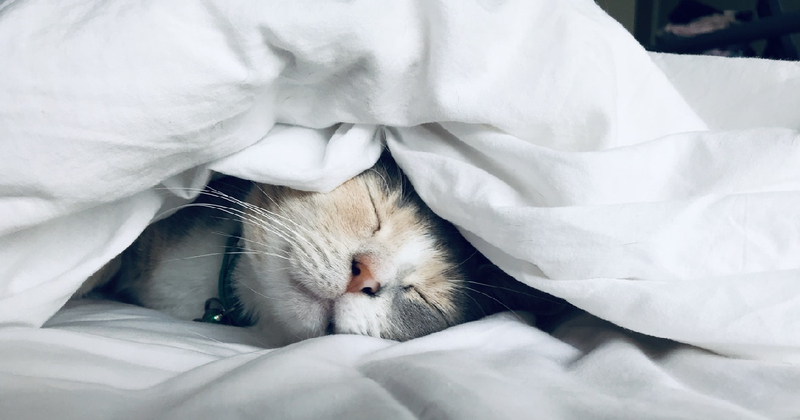 Cats do sleep a lot, so after they have had a play, leave an enticing ‘cat cave or envelope bed’ in a strategic position. Cats like to snuggle into small areas as it makes them feel safe, so try out a bed or two to see what appeals. Of course sometimes they just like to snooze on the floor, but an anxious pet may prefer a snug bed with their favourite toy. Much like the mouse that runs on the continuous wheel in a science lab, the cat wheel is a treadmill for cats - only it is much bigger! 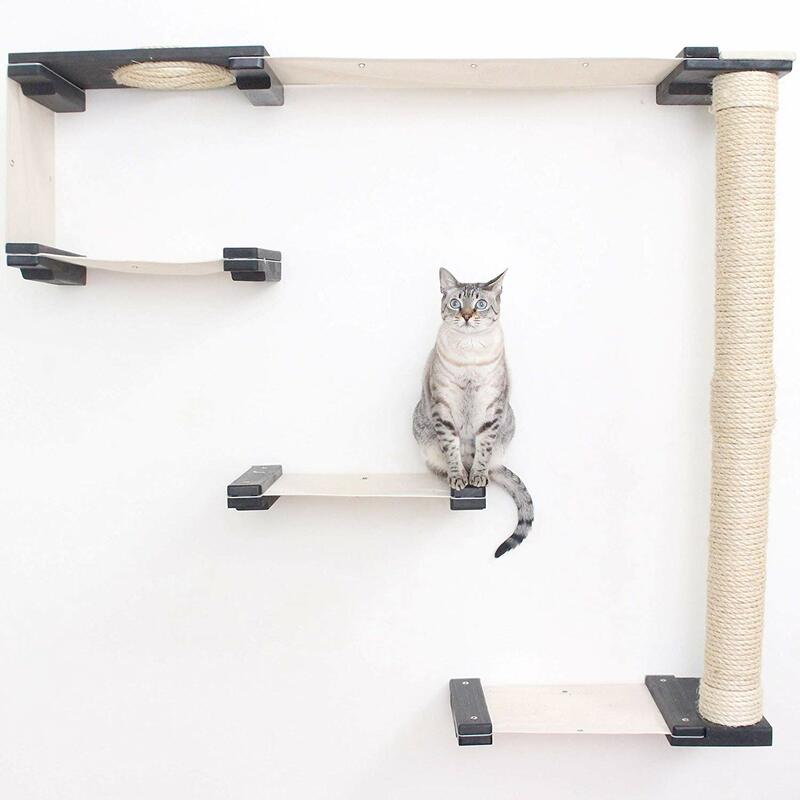 This is for the serious cat lover, with costs starting around $250 plus. Once your cat gets used to it, they will love working out on it. 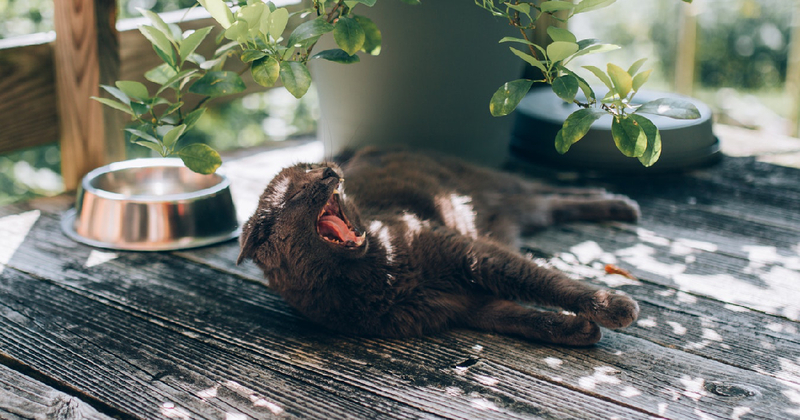 Your cat should have a safe place to sleep; they should have access to a shaded, cool area, and they should have fresh water and food available throughout the day. Some people leave soft music on to keep their cat company. With plenty to do, a scratching post or two, and of course a pristine clean cat litter box - you will have covered your cats’ basic needs. Carry out a final home check before you head away. Make sure you remove any medicines from the bathroom or bedroom. Cats can jump up onto the basin and will sample anything that looks interesting. 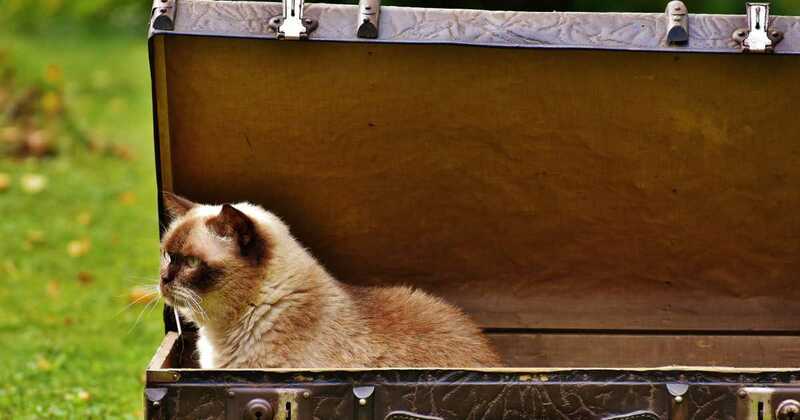 Put medicines and chemicals in a locked cupboard – some cats are very creative and can open closed doors. Sharp objects should be removed or locked away, store plastic bags or cut both ends just as a precaution. Close the toilet lid and remove cords to electrical appliances – or at least turn them off at the wall. Unless you know for sure that your pot plants are safe for your cat, put them outside or in a closed room for the day. Better still, just get artificial plants for now. Cuddle and play before you leave for the day! Spend some time with your cat playing and cuddling before you leave for work. Cats become very attached to their human and will miss you during the day. Try some active games with your cat before you leave, so they will have less energy to start exploring. Program the television to provide a bit of music or background noise (but not too loud). Can you arrange for a friend or family member to call in and check if your cat is alright? This is important for kittens as they will miss you and may feel frightened on their own to begin with. Having someone come in and play with them will break the monotony of the day, and when that person leaves, they will probably have a nice long sleep till you get back. Another sneaky move is to place a bird feeder or two outside the window, so they can watch all the activity. It will keep them enthralled for ages. And finally, you can get another cat to keep them company. But be aware that cats are very territorial and they may take some time to bond. Getting two cats at once while they are young will help, or getting a dog is an option as bonds forged between a cat and a dog can be strong and everlasting. Once again, it depends on the nature of the dog and the cat. Every cat is unique; while some will handle time alone very well, others may not. Giving your cat plenty of quality time when you are home is important for their health. Some cats are more adventurous than others, so get to know what is important to your cat and work with their natural instincts. Think ahead and provide some items that will enhance your cats time alone. This thoughtfulness will pay off in the long run with a happy cat who welcomes you home each night with loving meows and comforting cuddles.